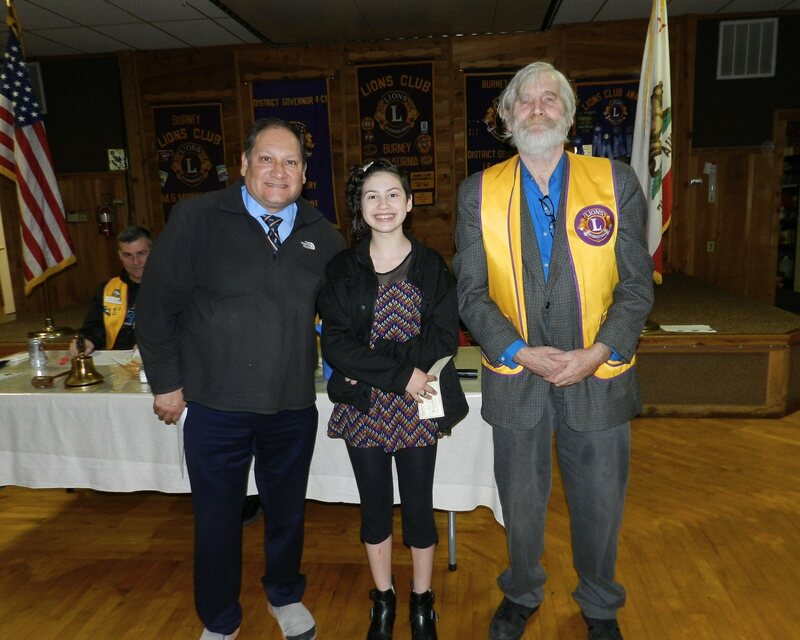 Angel Estrada was honored as 8th Grade Student of the Month at the Burney Lions Club on Thursday evening October 19. Ms. Estrada was introduced by Burney High School Principal Ray Guerrero. Lion George Whitfield presented her with a check for $50 from the Burney Lions Club in recognition for her achievement. Angel has a grade point average of 3.2. She is active in activities at her church. She enjoys making doll clothes, drawing and coloring, and having fun with her family and friends. She would like at some time in the future to be a model. Her goals for the future are to move to Paris, France with her parents and to attend college. Angel’s parents Martin and Christina attended the award ceremony together with Angel’s seven brothers and sisters, one cousin, and her aunt Noemi Estrada.